Camp Nedooae in Elderbank, N.S., is hosting the 13th Canadian Jamboree, an event held every four to five years that is considered to be the "premier scouting experience." 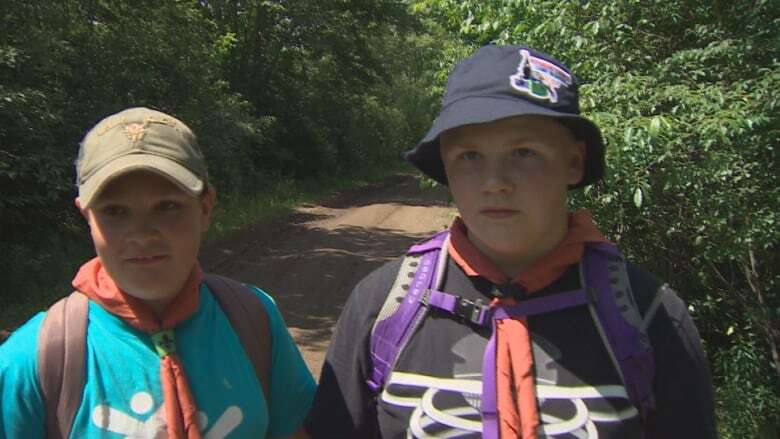 The small community of Elderbank, N.S., in the Musquodoboit Valley is serving as home base to the 13th Canadian Jamboree, a week-long event bringing in more than 5,500 scouts and volunteers from across the world. 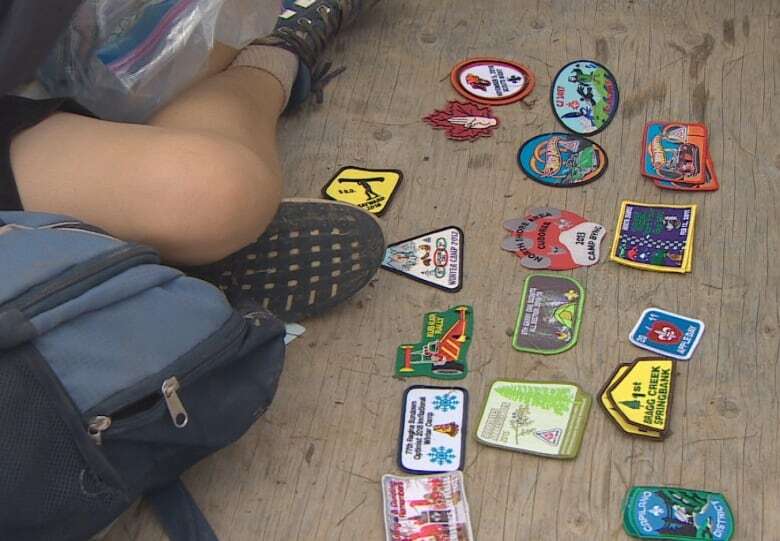 The Canadian Jamboree is only held every four to five and is touted as the "premier scouting experience" for young people aged 11 to 14 in scouts, said Stephen Loney, assistant national youth coordinator for Scouts Canada. "This is the first Canadian Jamboree hosted in Nova Scotia, we've waited a long time for opportunity," he said. "For the youth it's an incredible experience, this is one of the biggest adventures they'll have while they're in scouts." There are more than 60 events taking place concurrently during the week of adventure, including Highland Games, building a catamaran and sailing it across a lake, learning to fly drones, obstacle courses and a Master Chef-inspired cooking challenge. 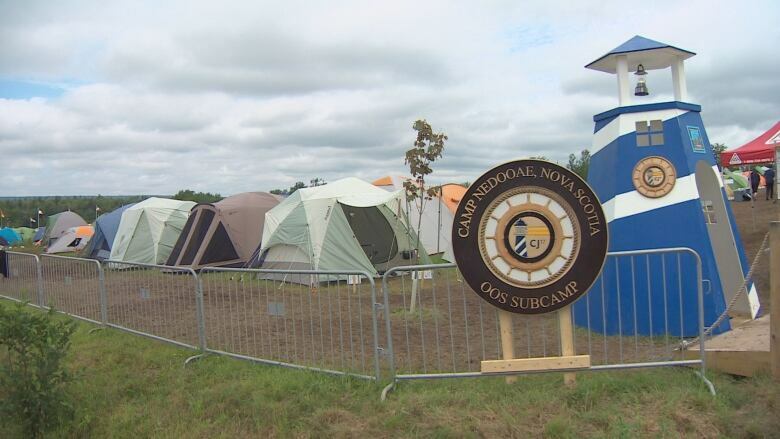 A tent village at Elderbank's Camp Nedooae has been divided into sub-camps made up of different parts of the country. This is where the scouts will stay for the duration of the jamboree. Campers bring their own tents and live there for the week. It's a "pretty big challenge for the youth while they're here," said Loney. Participants started to arrive by plane on Friday morning from places as far away as New Zealand, Scotland and Liberia. Jade Stewart, a scout from British Columbia, said she is most looking forward to the beach and touring Halifax. "This is my very first [Canadian Jamboree] so I don't know what's going to happen, I'm just going with the flow," said Stewart, adding she's been waiting for the trip since September. Adam LeBelle, a scout from Kingston, Ont., arrived in Nova Scotia a week early to do some sightseeing before the jamboree. "It's a great opportunity just to be out in the out in the outdoors and be with your friends and experience different things you may not be able to experience by yourself," said LeBelle. Spencer Holburn spent 15 hours on a plane with his troop from Surrey, B.C.,and shared what he hoped to get out of the week. "Meeting new people, traveling in general ... camping, leadership, how to make friends, knots," he said. Years of planning has been put into the jamboree, said Loney, and about 1,000 volunteers helped build the site "to make this just an absolutely wonderful experience for our youth." The jamboree is entirely paid for through grassroots fundraising efforts by scouts and volunteers. The food budget for the Canadian Jamboree is more than $500,000. 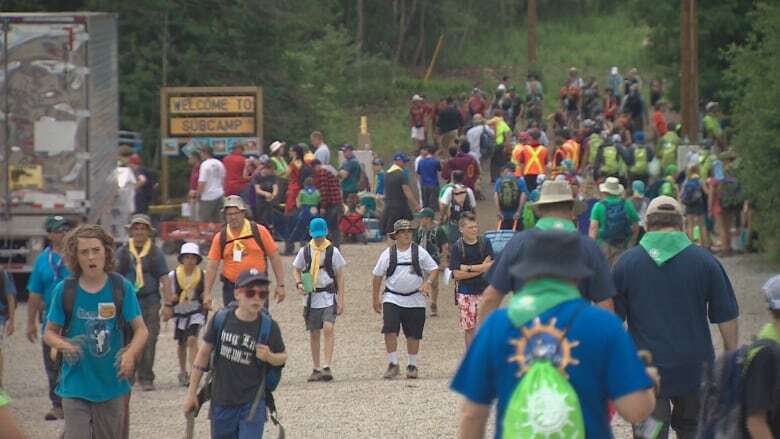 Scouts Canada said the jamboree has generated $600,000 in infrastructure improvements and assets for Camp Nedooae. The organization is predicting more than $1.5 million in economic activity through contracts, tourism and other activities will be generated by this week's event.